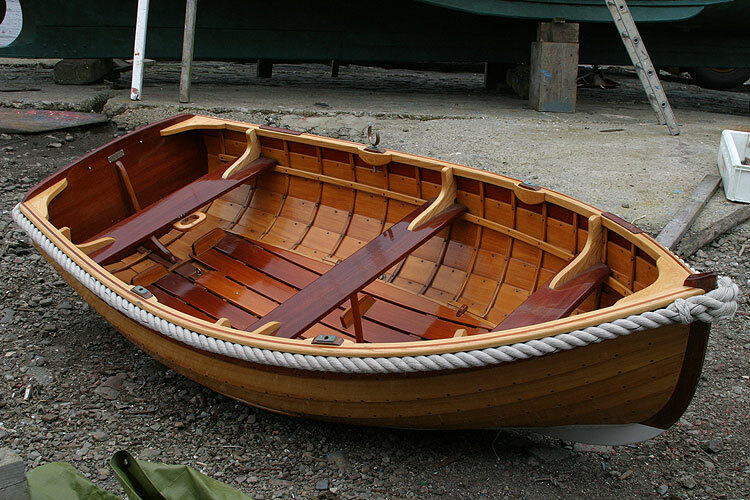 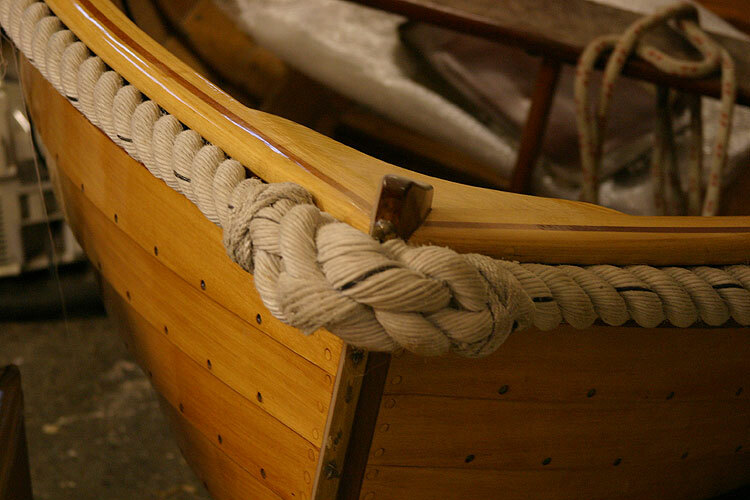 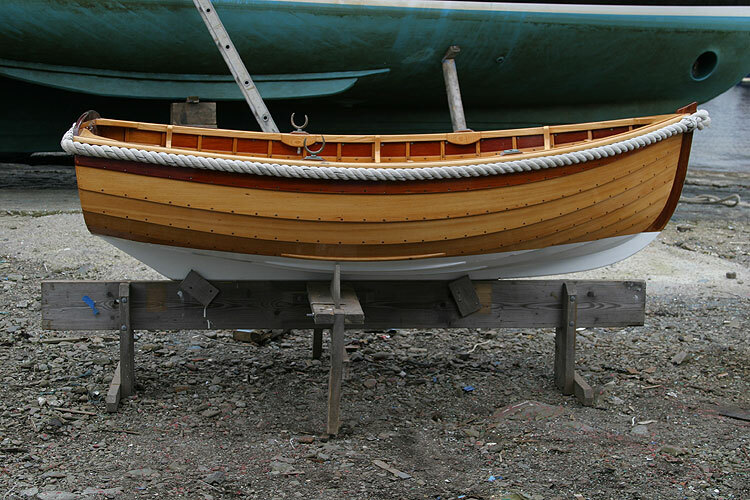 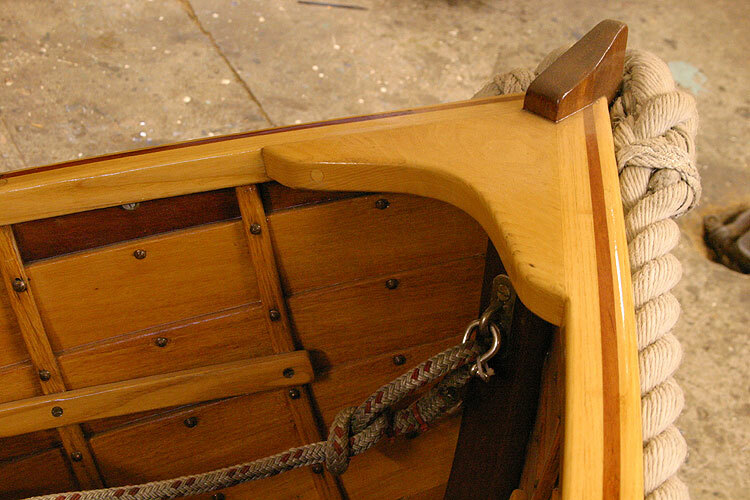 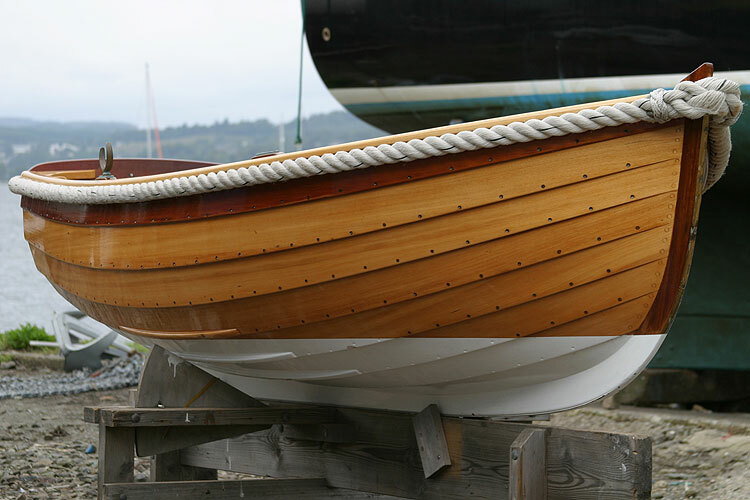 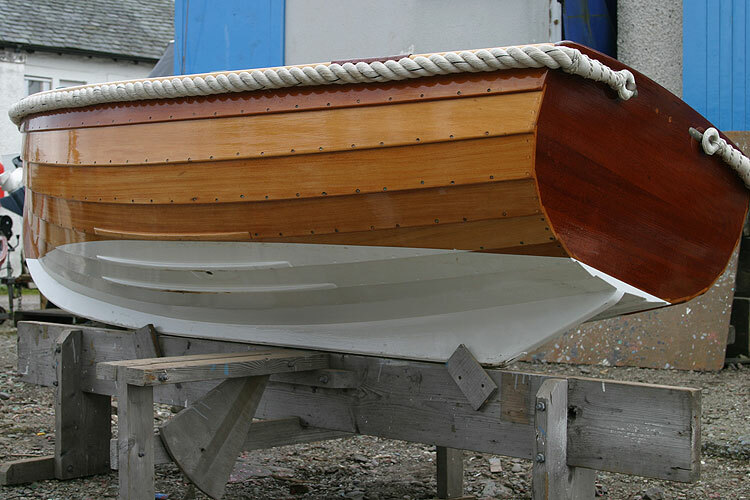 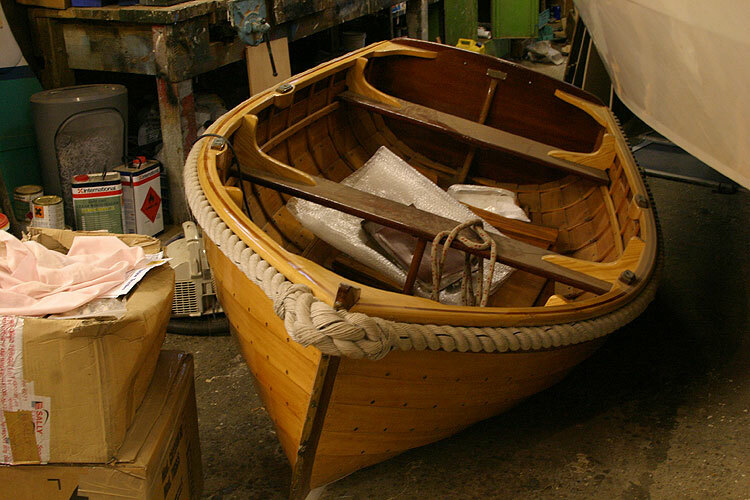 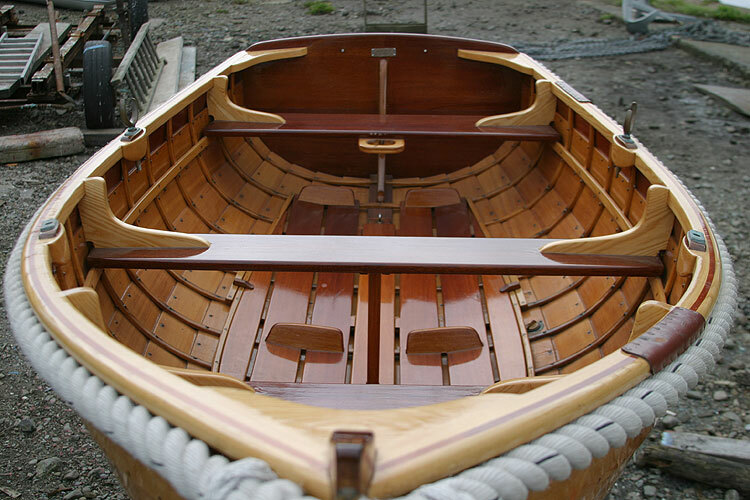 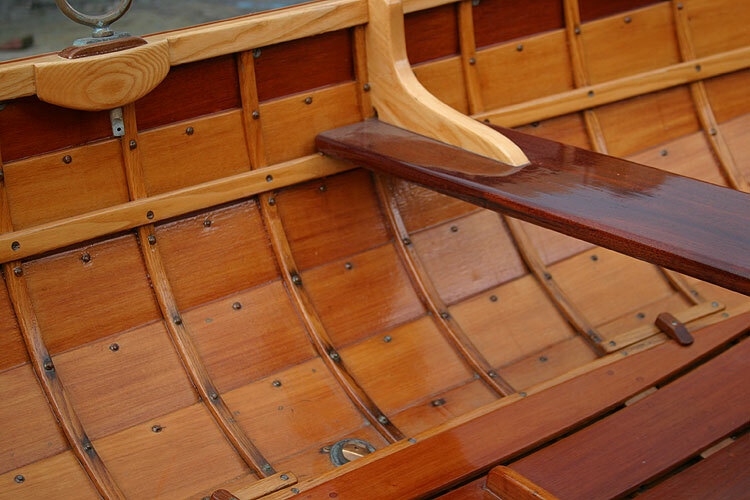 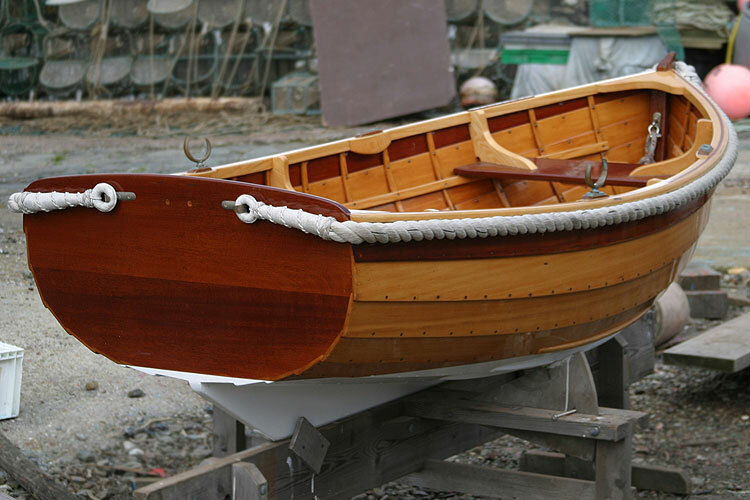 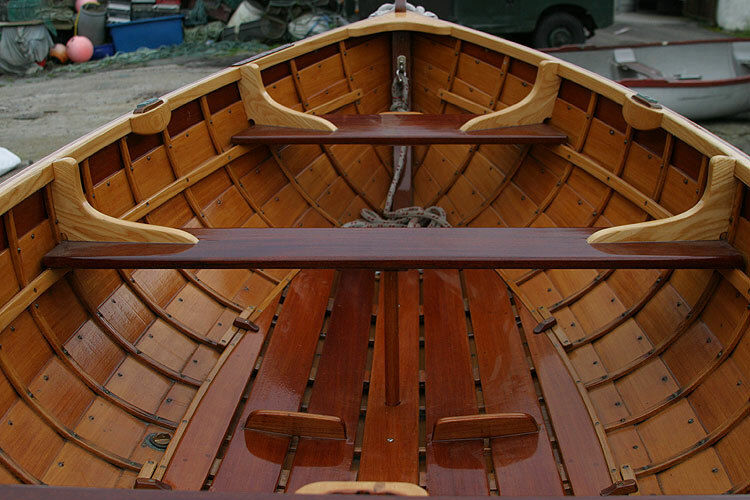 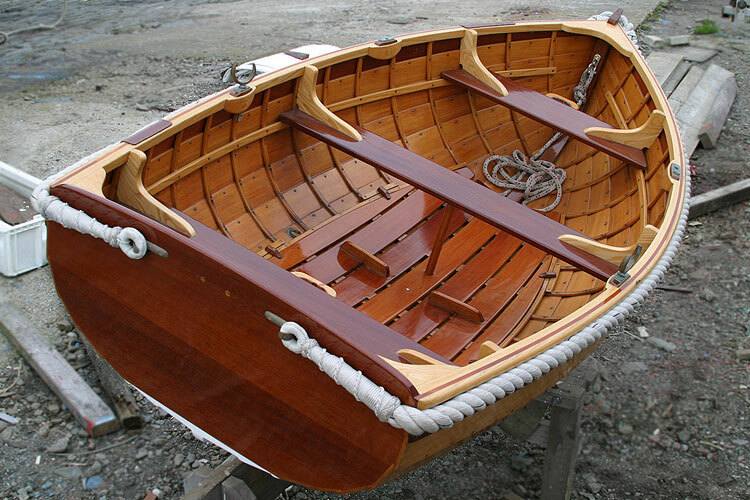 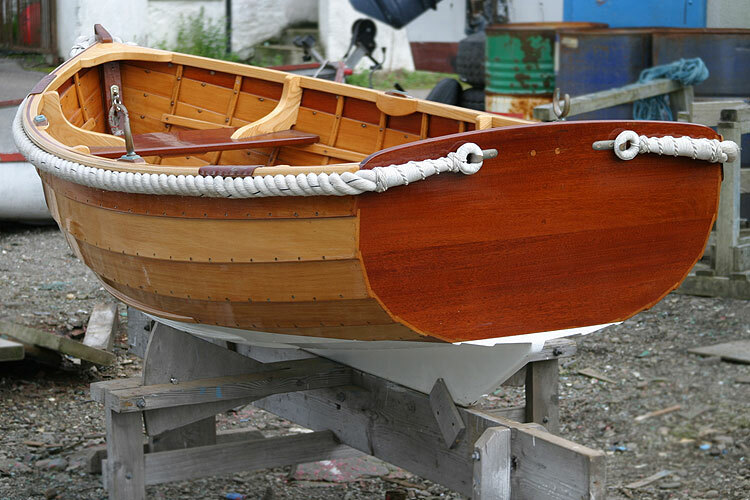 This beautiful clinker tender, designed and built by Jacky Kay was a privilege to view and photograph. 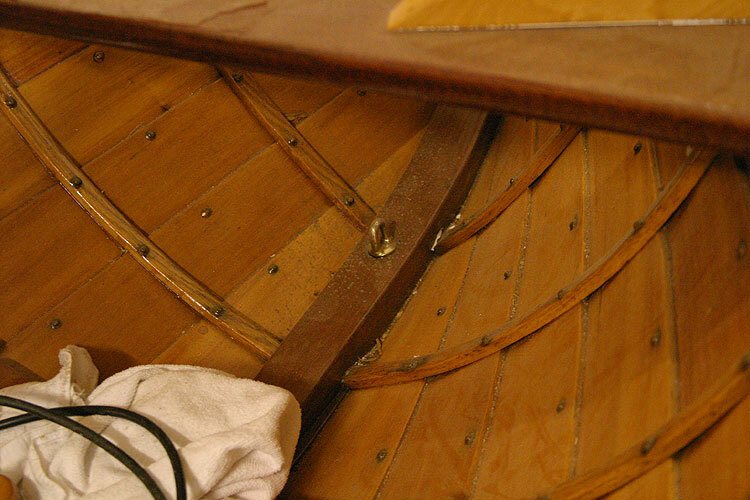 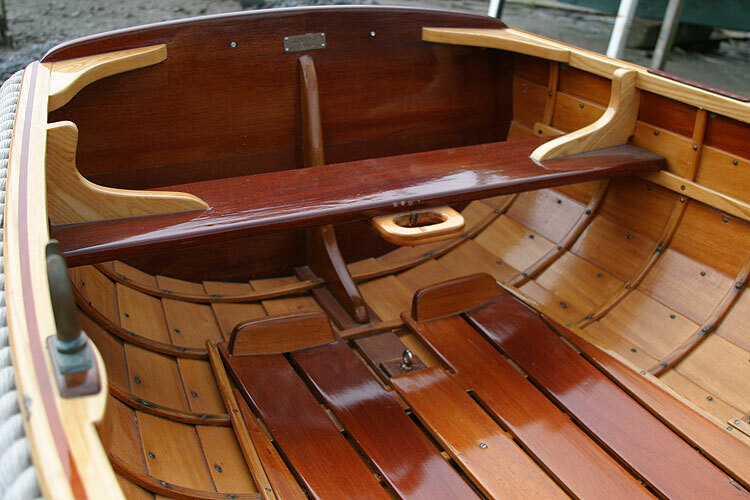 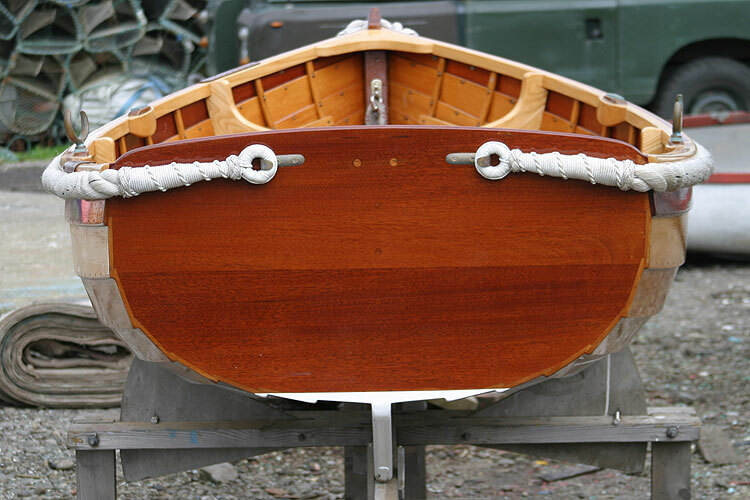 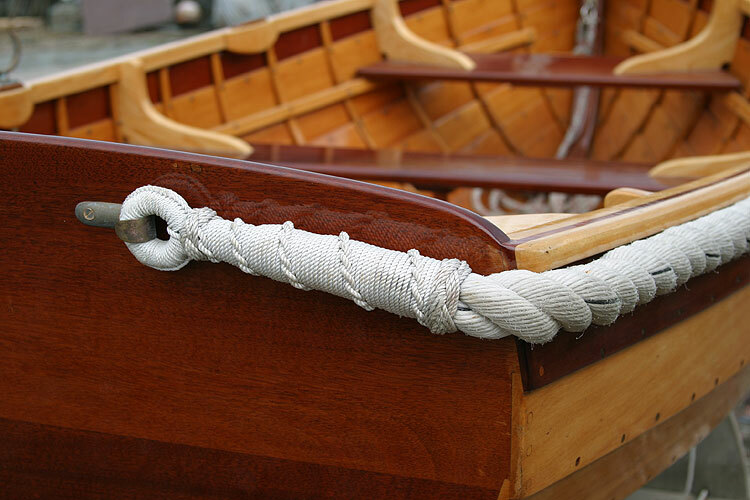 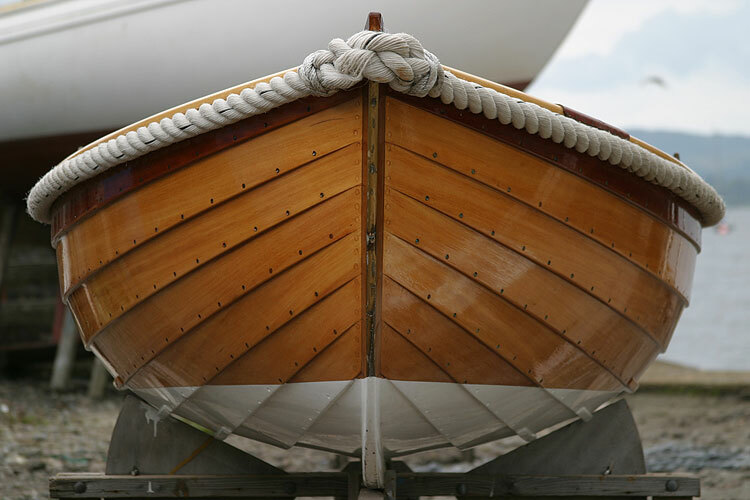 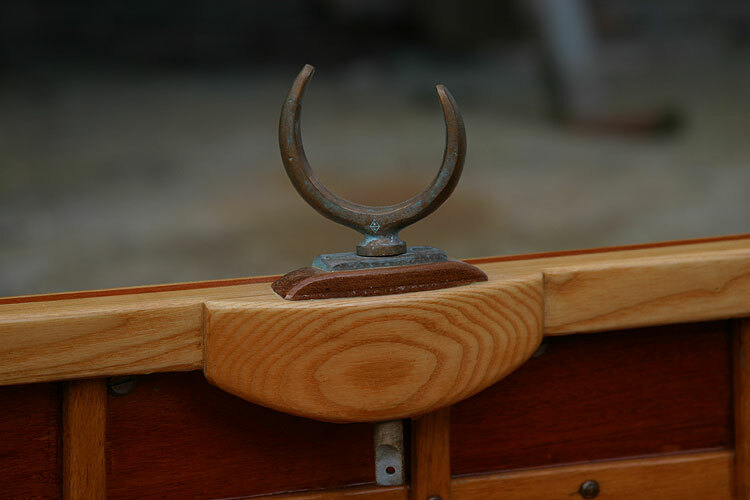 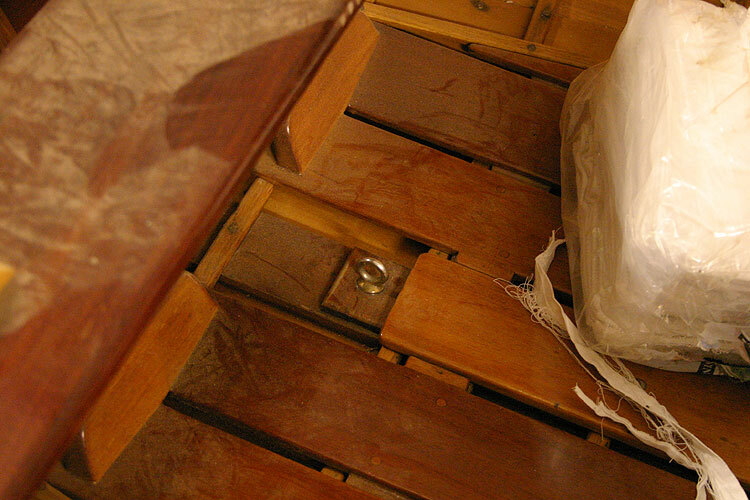 Built to the highest standards for his own motor yacht, Jack used state of the art clinker construction, glued and epoxied to eliminate taking up, ideal as a davit stored tender. Perfect for 3 people, strong, stable and very easy to row, pretty light too at approximately 100 lbs. 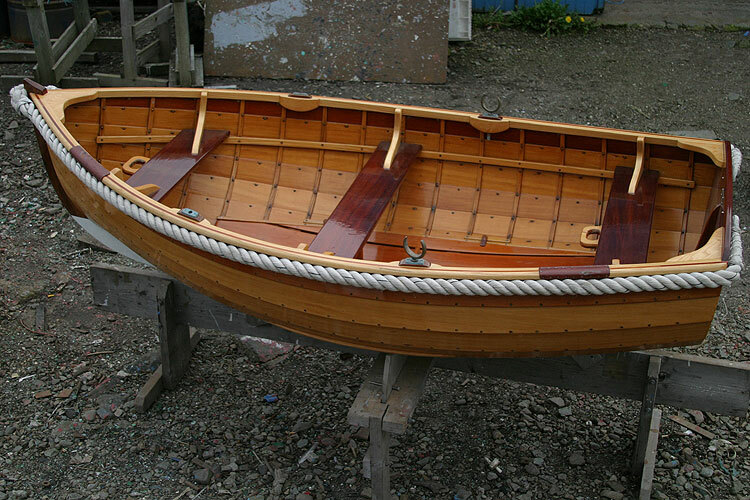 Costing more than ?5000 to build, this one is now available as Jack has built a new larger tender for his own use. 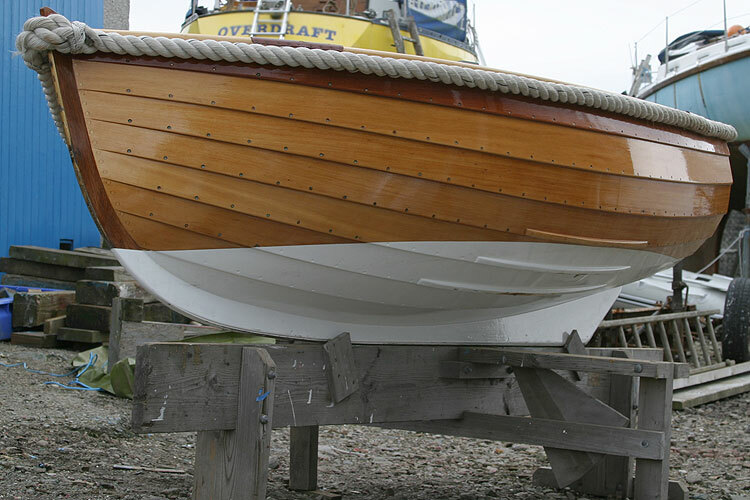 Davit fixing points removed by previous owner can be reinstated by the builder if required. 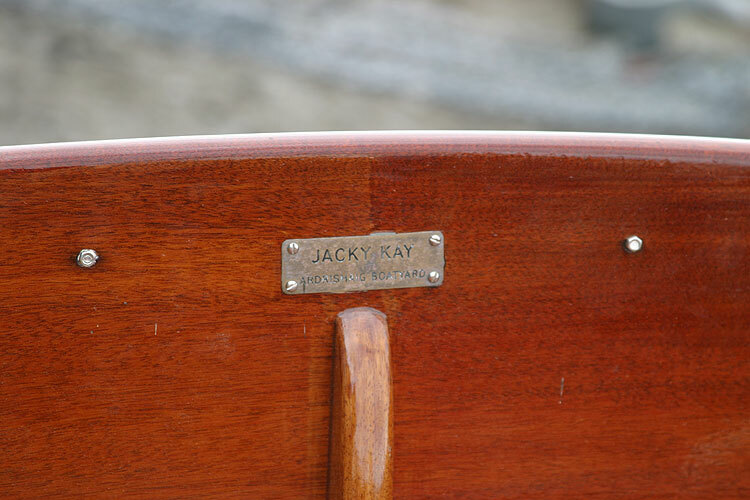 This boat is no longer for sale and remains here solely as an information resource for those researching Jacky Kay Clinker Tender's.